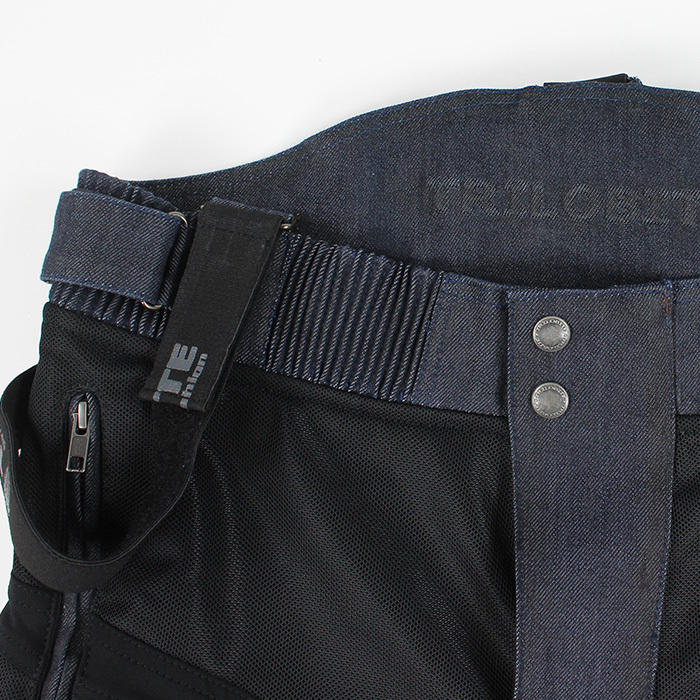 From sport-touring to adventure enduro, Trilobite Airtech pants are made for riders who need maximum protection from the weather and road. 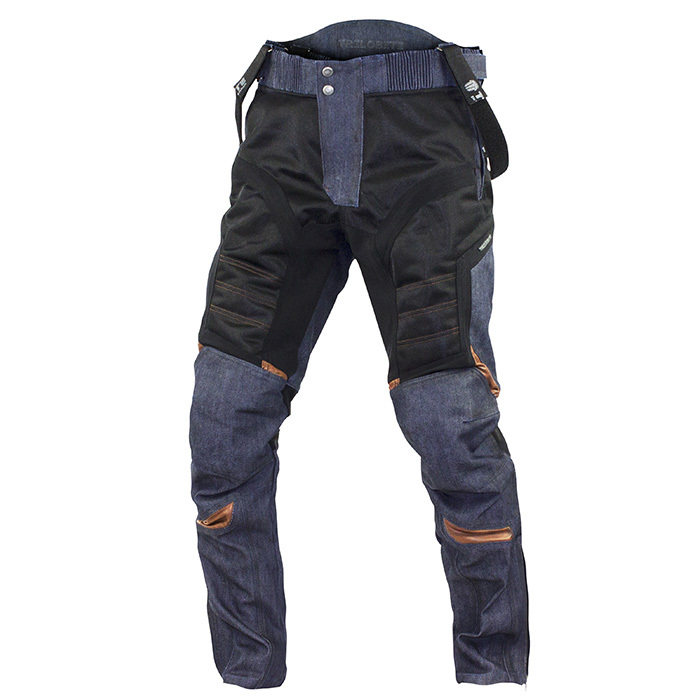 Combination of denim, stretch material, technical mesh, and leather with protective lining in back seat and knees provided by aramid fibers of Kevlar® by DuPont™ progressive technology, makes the AirTech pants right choice. 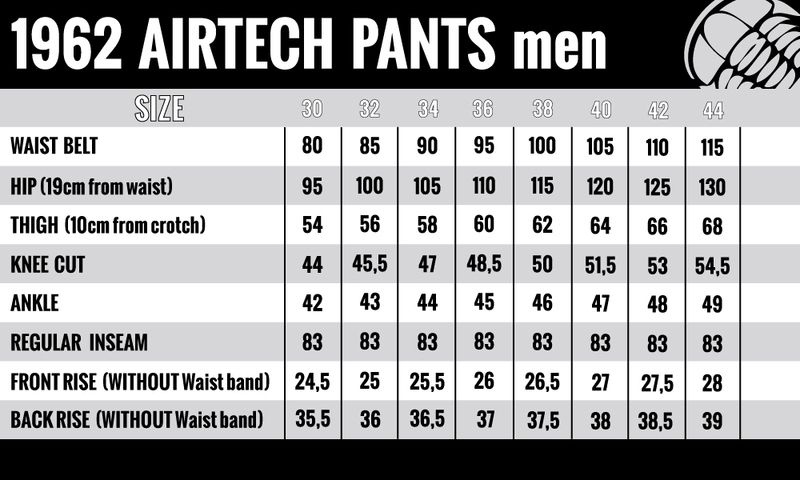 Perfect air control works because of the Air Tech technology of mesh material on hips and thighs. 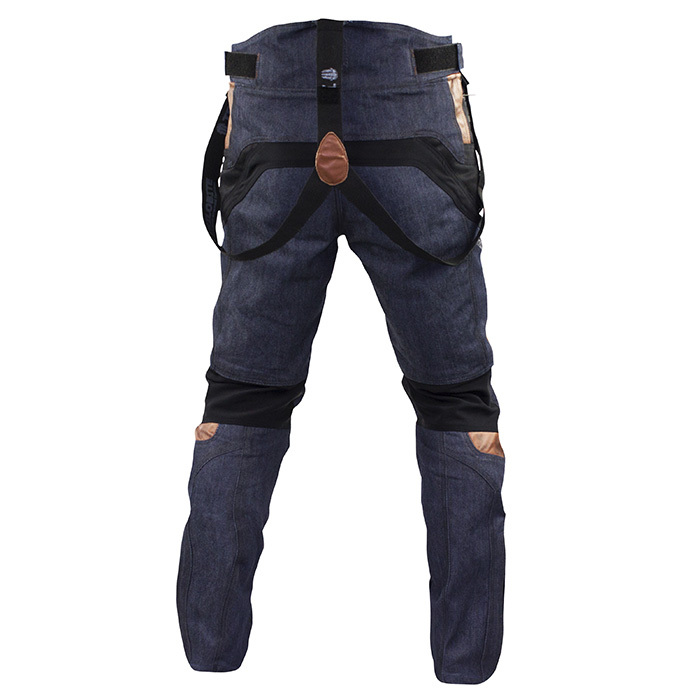 The pants are equipped with releasable suspenders with Trilobite logos, secured on double loop in back and front with large velcro to satisfy maximum comfort of the fitting. 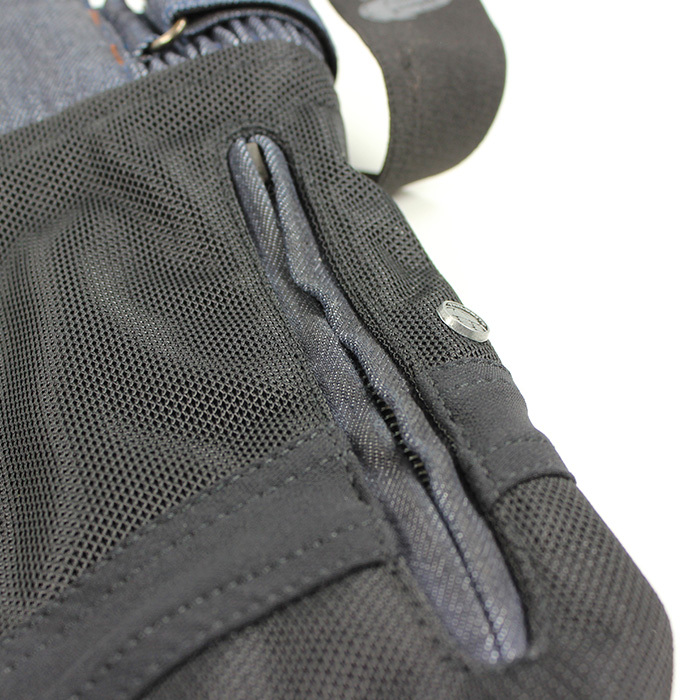 Any rider will welcome comfort of stretch and breathable crotch mesh material and raised back. 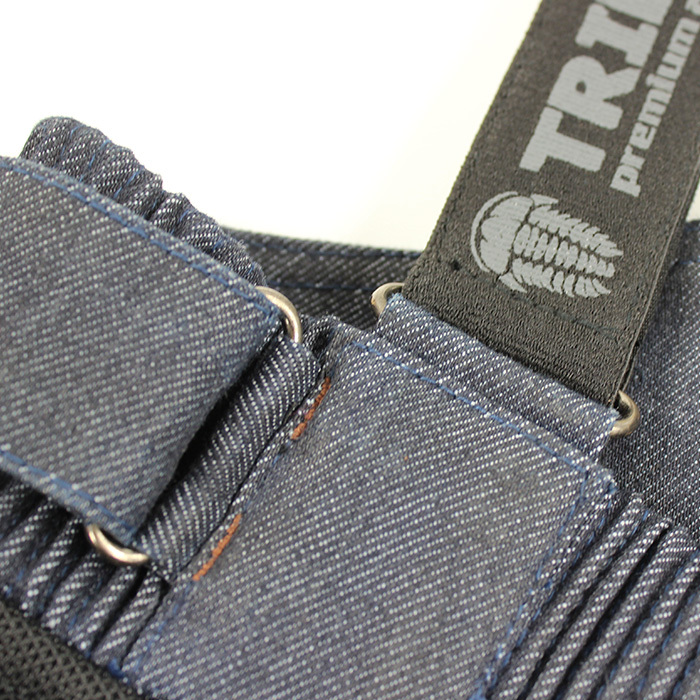 Trilobite Premium Protection CE level 2 for knees and hips is included with the pants. 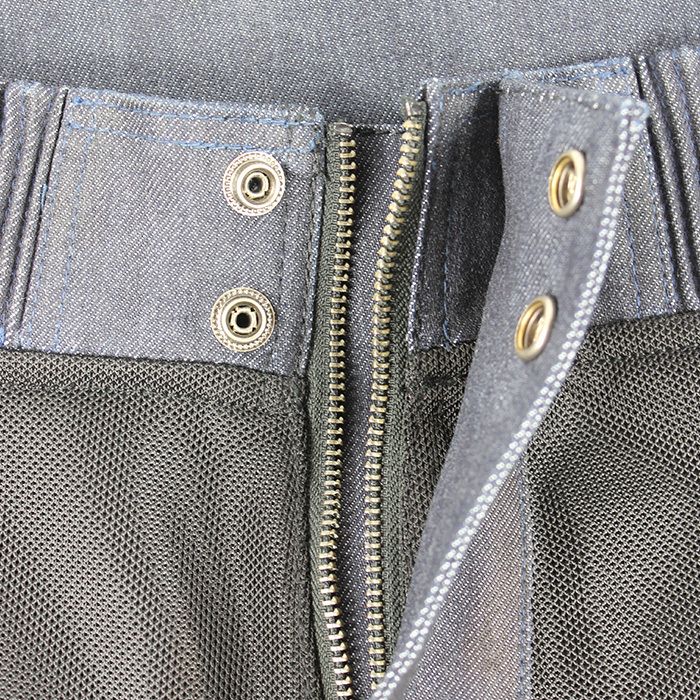 YKK zippers assures the quality and long lasting performance. 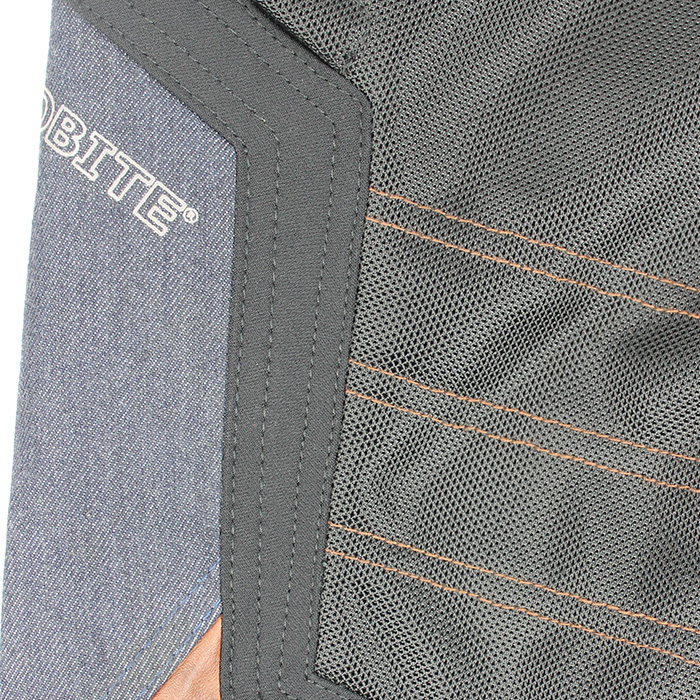 To increase the visibility at night, special reflective 3M yarn is used at the lower back pant. 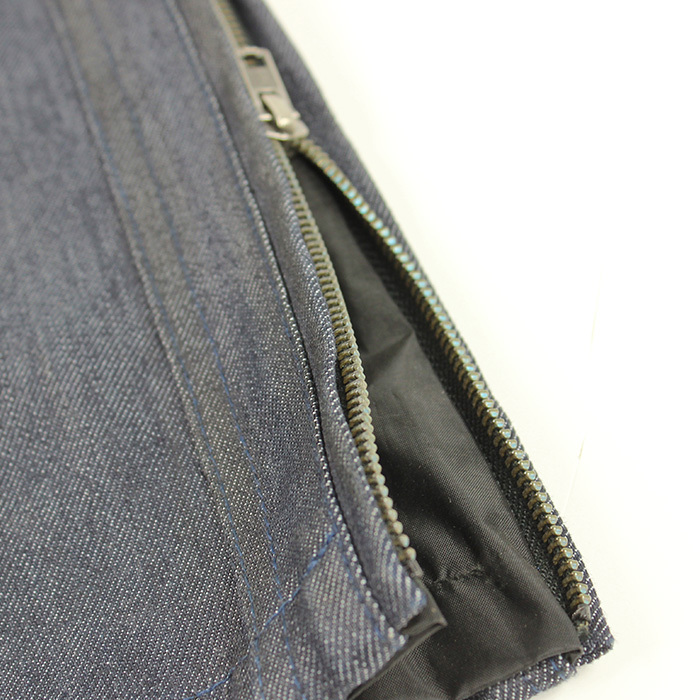 The pants have nice and noticable combination of dark blue denim and brown hand waxed leather which makes very distinct look. Available in women´s version too. Aramid fibers lining in knees and seat made with Kevlar® by progressive DuPont™ technology. 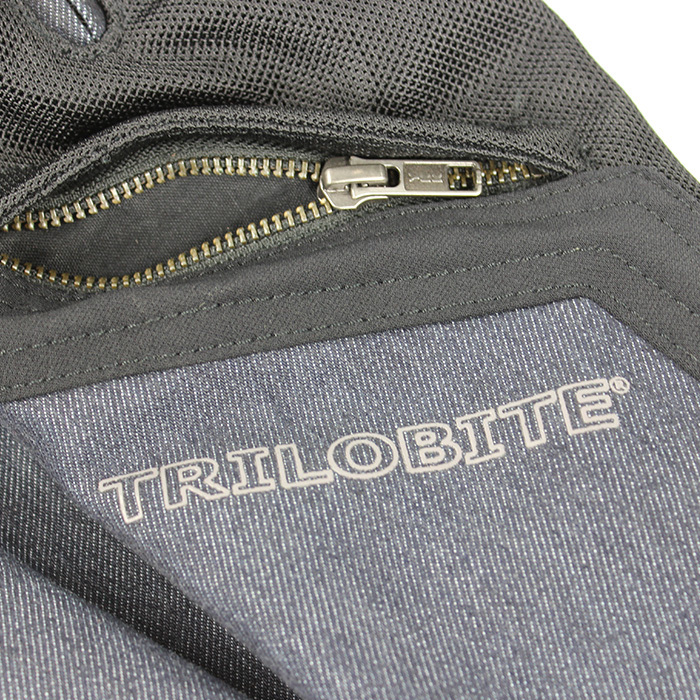 Adjustable by wide stretch panel and velcro at waist, side zippers at bottom, front closing by zipper and buttons. Three outside pockets. 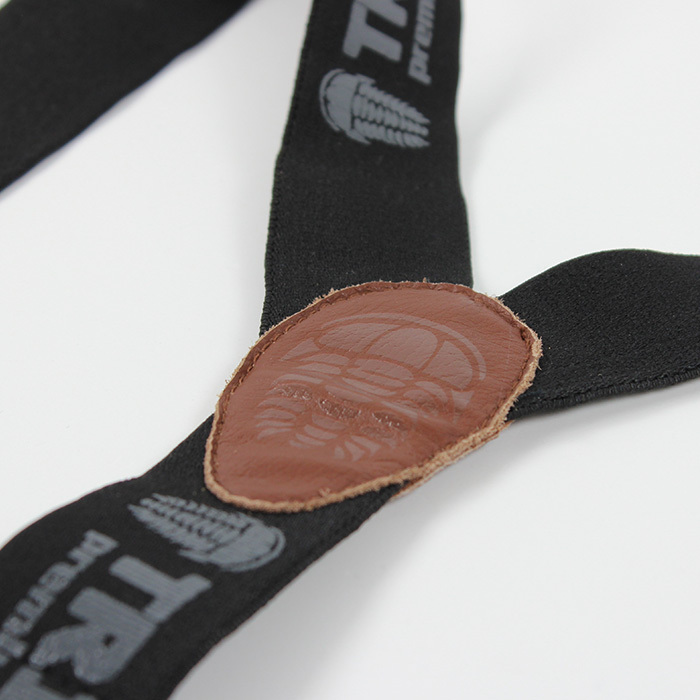 Adjustable height of the knee protectors by velcro, raised waist belt at the back. Removable suspenders. Sport, enduro, adventure. Regular men EU sizes (30-44), women EU sizes (26-36).